Look closely. Can you name the exact camo patterns and shotgun models featured in this hip-hop music video by artists Jay Rock and Kendrick Lamar? 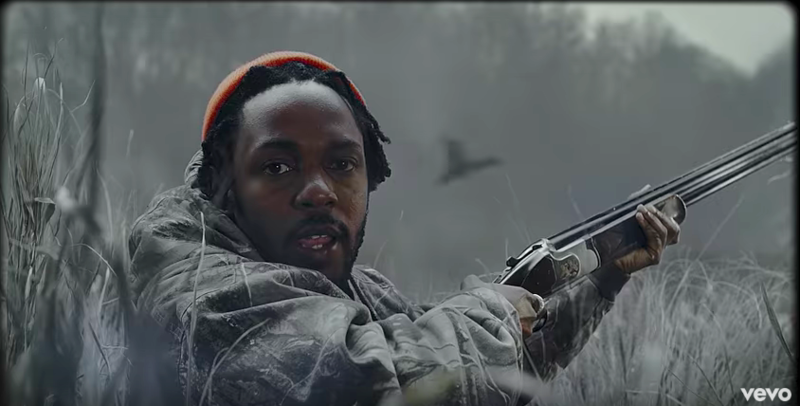 In its review of the music video "Win," Rolling Stone magazine teases the unexpected: hip-hop artist Kendrick Lamar can be seen duck hunting with Jay Rock. The clip veers between scenarios where Rock is decked out in a suit around flames, hanging out of a convertible, staring down a circle of bayonets, playing pool and reclining with several women. And, surprisingly, a duck-hunting scene is in there too. You can view the video here, but be advised: it’s chock-full of expletives. Then, there’s a reference to a trigger, but it’s doubtful the trigger mention is associated with the previously mentioned duck-hunting foray. On May 30, Jay Rock's collaborator Kendrick Lamar picked up the 2018 Pulitzer Prize for Music. According to XXLMag.com, Lamar is the first non-classical or jazz work to get an award in music. If you’ve read down this far, you might ask yourself, “Why did this fool writer post something on a hunting website about a hip-hop artist named Lamar who pretended to go duck hunting in a video?” No crossover appeal there, right? BONUS: Did the Video Get Duck Hunting Right? Take a look at the video screen grabs featured in this article. Can you make out the type of camo and the make and model of the shotguns featured? If so, did the hip-hop artists and their producers get the hunting gear right for the hunting situation they're in? Let me know your answers at amy.hatfield@grandviewoutdoors.com, and we'll post a follow up examining whether Jay Rock and Kendrick Lamar whiffed or won in their attempt at an authentic and accurate depiction of duck hunting.